JustRite Stampers 12 Weeks of Christmas Blog Hop! Welcome to JustRite Stampers’ newest Wednesday feature, 12 Weeks of Christmas Blog Hops 7! Every Wednesday up until Thanksgiving some of your favorite designers will be joining some of the JustRite design team for a series of Christmas blog hops, showcasing JustRite’s entire Christmas Collection of stamps! You also might see some projects from the JustRite design team, using some of our newly released CLING stamps! You can find our new collection of cling stamps HERE. This week, the designers joining us are most of the Spellbinders™ and Caardvarks design teams! So mark your calendars for Wednesdays at 9am Central for great Christmas gift, card & project ideas, starting at the JustRite Inspiration blog! 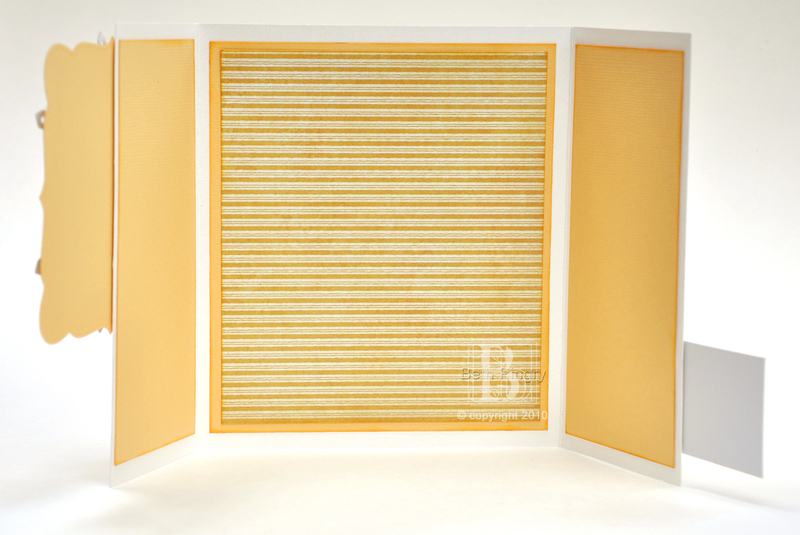 Here’s a gatefold card I made featuring JustRite Stampers Baroque Nested Frames and Natures Nested Sentiments. Beth Pingry – that’s me! Thanks for visiting and come back again soon! 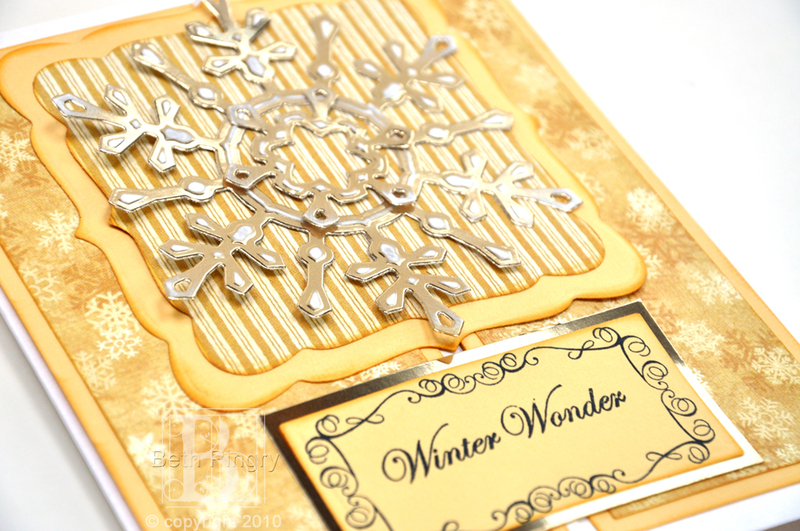 This entry was posted in cards, SCRAPBOOK ADHESIVES By 3L, Spellbinders and tagged blog hop, caardvarks, Clearsnap, Graphic 45, JustRite Stampers, Nestabilities, Spellbinders, stamps, winter, Worldwin. Bookmark the permalink. Pretty, pretty gatefold card, Beth! I’m going to try to recreate it after I’m done leaving comments on this blog hop! Love your card and the colors!! Your card is gorgeous! Love the unique treatment of the gate-fold! Love this card and all of your work! What a gorgeous card! I love how it opens and the warm color! Beautiful card and I was the lucky winner of this die and the beaded oval die! You do incredibly beautiful work!! Simply gorgeous, Beth! Love the warm colors! A sweet and warm way to send a special greeting to someone who needs more than just a card! Beautiful gate fold card Beth! Love the golden colors and the snowflake pendant!! Love the unique front closure design! Very pretty, Beth! Luv the gatefold card and that snowflake pendant is wonderful. Such a pretty card & what a great fold too! Your card is beautiful, Beth! It looks so rich and elegant. 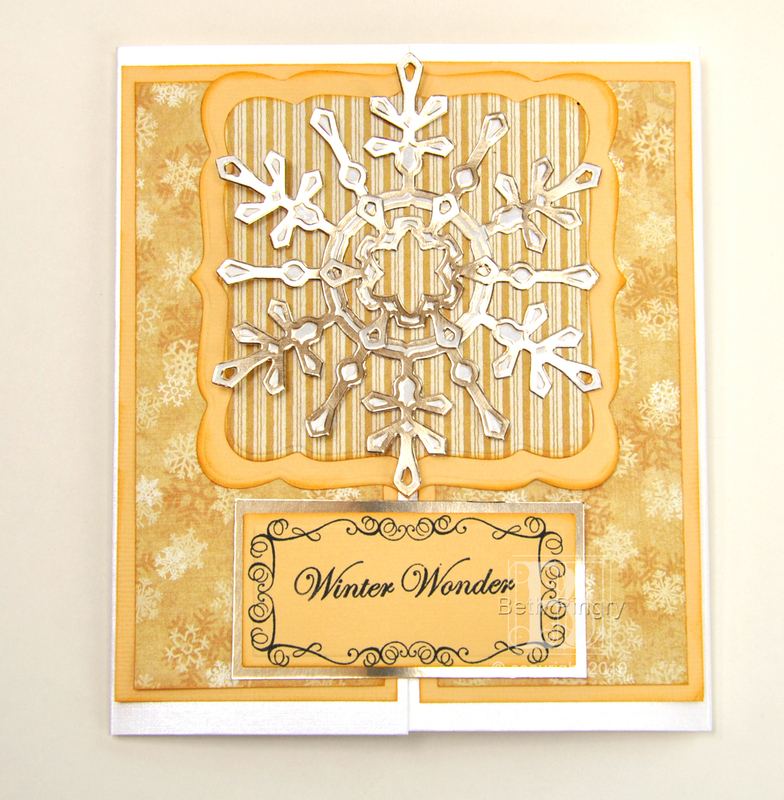 Great card, I love how this card opens up and the snowflake looks fabulous! Such a pretty gatefold card!! I love the yellow. Thanks for sharing!! Very Pretty gatefold card! Simple yet beautiful. This is simply beautiful!!! love the beautiful soft yellow and warmth! Gorgeous – what a great way for it to open!!! so pretty – that snowflake is gorgeous! I love the different fold Beth- it’s very pretty! So elegant, I love the way it opens!